Today’s main news: Kabbage expands into India. GreenSky launches loan product for elective health care. Lending Works hits 150M GBP in loans in five years. Ant Financial’s money market fund shrinks to two-year low. Ant Financial raised close to combined raise of all U.S., Europe fintechs last year. Varo Money raises annual percentage yield on savings accounts to highest in industry. Today’s main analysis: How personal loan purposes vary by state and credit scores (A MUST READ). Today’s thought-provoking articles: Lend Academy reviews SoFi Money. Mixed credit card issuers’ earnings. How online lenders shook SMB lending in the U.S. Where homeowners stay put the longest. GreenSky launches new elective health care loan product. I’m sure there’s a market for this. I’m certainly no expert in elective health care funding, but I’m sure there is a big market for this. Review of SoFi Money. I, too, signed up for a SoFi Money account, though I haven’t funded it yet even though I’ve been taken off the waiting list. This is an excellent review, and I agree with the conclusion that digital banking is at the earliest stages of mass adoption. There have been several challenger banks in Europe. The U.S. has been reluctant to adopt digital banking alternatives, but SoFi Money is likely one of the contenders to change that. Varo Money raises annual percentage yield on savings account to highest in the industry. Varo Money is another company that is challenging the traditional banking model. This is a competitive move. Mixed credit card issuers’ earnings. A PeerIQ analysis. How online platforms shook small business lending. An excellent read from Financial Times. How personal loan purposes vary by state and credit scores. A must-read LendingTree analysis. Where homeowners stay put the longest. Another LendingTree study that shows that cities with shorter housing tenure have greater price appreciation. Kabbage poaches LegalZoom chief revenue officer. Elevate’s RISE starts scholarship to promote financial literacy. CrediFi takes aim at commercial real estate. Oxygen gets $2.3 million in funding. CFPB announces $3.2 million settlement with online payday lender. Betterment opens office in Philadelphia. Numerated, PayNet partner on digital lending solution. Planet Home Lending open 26 new branches last year. Guaranteed Rate looking for senior litigation counsel. Lending Works hits 150 million GBP in loans in five years. LendInvest provides 7.35 million GBP in bridging loan in under seven days. Brexit blamed for slowdown in consumer lending. Ultimate Finance lends 1.4 billion to small firms. Factors of borrowing money online. Ant Financial raised almost as much money as all U.S., Europe fintechs combined. If there is truly a powerhouse fintech company, it’s Ant Financial. Fintechs raised $39.6 billion in 2018. Kabbage expands into India. Kabbage is the first U.S.-based lender to enter India. This is significant, and given Kabbage’s reputation in the U.S., this move positions the company to do great things in India. Reserve Bank of India directs P2P lenders to file quarterly reports on key metrics. MobiKwik founder says lending is its star performer. Streamsource raises $1 million seed funding. 11 banks partner on blockchain-based SME funding. How P2P lending interest rates are set. How to invest in P2P lending. IndiaMoneyMart takes P2P investment, wealth creation mainstream. CreditVidya gets $3 million in funding for credit score technology. Paisadukan gets new marketing advisor. China: Ant Financial’s money market fund shrinks to two-year low. Europe: Fintechs prepare for no-deal Brexit. Indonesia: P2P lending is third most complained about business sector. China: Illegal fundraising surged $44.5 billion. Australia: RateSetter to help fund South Australia Home Battery Scheme. Europe: Synsam Group, Klarna partner on contact lens subscriptions. Australia: ING hikes variable home loan rates. Asia: WeBank, Nanyang Technological University launch financial research center. The Atlanta fintech on Tuesday announced the launch of a revolving credit line of up to $25,000. GreenSky previously offered only installment loans; the new product is designed to be a better fit for elective medical providers that rely heavily on repeat business. SoFi will pay (as of this writing) 2.25% on balances held in a SoFi Money account. Note about the small print: you will only earn this 2.25% for the first three months and then the interest rate drops to a (still respectable) 1.25% unless you do one of two things. Either setup a salary direct deposit of $3,000 or more a month or do $500 in debit card transactions each month. I am in the process of moving my salary deposit to my SoFi Money account. The cash balance in SoFi Money Accounts is swept to one or more program banks where it earns a variable rate of interest and is eligible for FDIC insurance. FDIC Insurance is not provided until the funds arrive at partner bank. There are currently six banks available to accept these deposits, making customers eligible for up to $1,500,000 of FDIC insurance (six banks, $250,000 per bank). Credit card master trust data shows that delinquencies have picked up from their lows but remain significantly below their peaks. Issuers (with the exception of Capital One), have increased loan loss reserves at a rate higher than loan growth as credit renormalization continues. Consumers seeking personal loans to manage debt also requested the highest origination amounts: $14,107average amount for credit card refinance, and $12,670 for debt consolidation. Almost 15 percent of loans reasons are categorized as “other” — the third most popular choice. Home renovation and improvement loans are the next-most popular loan purpose, accounting for 7.7 percent of loan requests with an average loan amount of $12,384. Cities with shorter housing tenure have greater price appreciation. The top 10 cities had an average tenure of 7.46 years and an average three-year home price appreciation of 12%. The bottom 10, with an average tenure of 6.63 years, have average price appreciation 30%. This suggests that higher housing turnover drives prices upwards, while faster price appreciation could be enticing home owners to sell. The northeast dominates the list of cities with the longest tenure. The top three cities, Pittsburgh, New York and Buffalo are all in the northeast. An additional three northeastern cities are in the top 10 for a total of six. Hot and sunny places have the shortest tenures. The three cities with the shortest tenures — Las Vegas, Phoenix and Austin — are all in warm-weather areas. This reflects high migration rates to those cities, something we looked at in a prior study on where Americans are moving. Denver is the only city in the bottom 10 that experiences a significant winter season. dv01, a New York-based startup, has raised $15 million in a series B round led by Pivot Investment Partners, a venture capital firm started by a a trio of bankers who worked together at Deutsche Bank AG. One of those ex-bankers, Dinkar Jetley, will join dv01’s board. Atlanta-based Kabbage Inc. has hired the chief marketing officer at LegalZoom as its new chief revenue officer. Laura Goldberg‘s appointment is effective immediately, according to a Kabbage spokeswoman. She succeeds Victoria Treyger, who vacated the CRO position at Kabbage in August 2018 to accept a position with Felicis Ventures. In a move to make high-yield savings available to more Americans, no-fee mobile banking company Varo Money, Inc., announced today that it raised the Annual Percentage Yield (“APY”) on its FDIC-insured Varo Savings Account to 2.80% for customers whose Savings Account balance is $50,000 or less, and who have qualifying direct deposits and debit card purchases from their Varo Bank Account.1 An APY of 2.12%1 will apply if these conditions are not met. Elevate Credit, Inc. (“Elevate”), a tech-enabled provider of innovative and responsible online credit solutions for non-prime consumers, today announced that its largest consumer product, RISE, will offer college scholarships in an effort to promote financial literacy. New York-based credit card firm Petal is back in the money with $30 million in Series B funding. This is Petal’s second investment from Valar, which was also the lead investor in its Series A funding round. Back in October 2018, Petal got $34 million in financing. As more banks take the often risky step of expanding outside their traditional markets, especially through digital means, some fintechs sense an opportunity to offer them data they need to find new customers and assess risk. LendingClub, OnDeck Capital and Lending Tree are each online lending platforms that have bet on this trend. CrediFi, a finance data provider, aims to do the same with a focus on one of the largest asset classes around: commercial real estate. San Francisco-based digital banking service Oxygen has raised $2.3 million in funding to breathe life into its gig economy plans. In this round it got funding from Digital Horizon Capital; Cynthia Chen, investor, advisor, executive and board member for several US-based fintechs and now co-founder and chief risk officer at Figure; ZMT Capital (China); Locus Ventures; Endure Capital; PioneerFund; Magic City; Light Bridge; Strawberry Creek; Base Ventures; The House Fund and Sam Yam, co-founder of Patreon. Better Mortgage, one of the leading digital mortgage lenders in the U.S., today announced its closing of $70 million in Series C financing from American Express Ventures and the Healthcare of Ontario Pension Plan (HOOPP), in addition to existing investors Kleiner Perkins, Goldman Sachs, and Pine Brook. The new capital will support continued growth and investment in Better’s technology platform. Numerated announces that it will integrate PayNet’s MasterScore v2 within its real-time lending and growth platform. PayNet, a leading commercial lending data and analytics firm, will integrate its proprietary database within Numerated’s customizable rules- and segment-based credit decisioning engine to offer banks additional business scoring criteria for managing risk when lending to businesses in real-time. Planet Home Lending, LLC opened 26 active distributed retail branches and brought on 165 mortgage loan originators in 2018. Planet Home Lending also enjoyed additional growth in 2018 in its other channels. Guaranteed Rate is building a winning team to reinvent the mortgage experience through innovation, technology and a relentless focus on providing industry-leading mortgage products and superlative customer service. The Senior Counsel will embrace and support these efforts by working to pursue claims and resolve disputes as appropriate through negotiation, arbitration or litigation, with a particular focus on employment claims and matters. Lending Works, the peer-to-peer lender, has surpassed £150m in loans to households and firms. 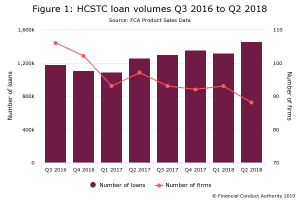 Nick Harding, Lending Works Co-Founder and CEO, says the firm is aiming to reaching £300m loans by the end of 2019 thanks in part to its “greatest ISA season yet ”. UK property finance specialist LendInvest has facilitated a GBP7.35 million bridging finance loan for a developer in just seven days. The latest Bank of England Money and Credit statistics also found that the total number of mortgage approvals fell from 126,794 to 124,829 in December 2018, indicating an overall lag in the lending market. Meanwhile, mortgage approvals for house purchase were around 63,800 in December – just slightly less than the 2018 average of 65,200. Online borrowing should be all about convenience, and Loanski loans have made this aspect their rising pillar for excellence. The only requirement for one to apply for a loan through the platform is they must be United Kingdom residents and have an active bank account. These minimum requirements essentially mean that anyone who uses their bank accounts frequently can have the pleasures of having an instant loan when they need it the most. The shrinkage is a sign that Ant, the financial services business of Alibaba Group, is shifting away from marketing its own financial products to serving as a platform for other groups to access its huge customer base. Chinese police investigated more than 10,000 cases of illegal fundraising last year, a 22 per cent rise in the caseload, according to China’s top prosecutors. The total amount involved also rose, more than doubling to about 300 billion yuan (US$44.5 billion), the Supreme People’s Procuratorate said on Wednesday. Apart from traditional hotbeds such as product marketing, real estate investment, and education, there has been a big rise in fundraising schemes in online lending, wealth management, private equity, cryptocurrency, and elderly care services. Europe’s fintech companies are getting serious about the possibility of a no-deal Brexit. As uncertainty looms over the U.K.’s split from the EU, the industry gathered this week at the Paris Fintech Forum. Payments providers, cryptocurrency exchanges and digital banks all said they were taking steps to prepare for the worst-case scenario. N26 is a Berlin-based digital bank that was recently named one of Europe’s largest fintech start-ups. When it comes to financial technology companies, Ant Financial is in it own league. The affiliate of e-commerce giant Alibaba raised $14 billion in venture capital last year, not far from the $15.9 billion for all fintech investments in the EU and US in the same period. A key question is whether the growth of the world’s most valuable fintech firm is an anomaly or a sign of things to come from China. Ant Financial accounted for 35% of global venture capital investment in fintech firms last year, according to CB Insights. The South Australia Home Battery Scheme, launched by the state government, offers a maximum of AU$6,000 assistance per household for the purchase of battery energy storage. Home storage systems are typically, but not always, paired with solar PV, and homeowners can get back between AU$500 and AU$600 per kilowatt hour of battery storage capacity purchased. Announced in September and then launched a month later, the scheme will assist up to 40,000 households financially, with the state government putting in AU$100 million and peer-to-peer lending group RateSetter later committing the same amount of funding in the form of low-interest loans. Online lender ING has become the latest bank to lift its variable home loan rates following an announcement earlier today. The lender will raise rates across all of its variable rate home loan products by 15 basis points, effective as of February 7, 2019. Kabbage has opened an office in Bengaluru (formerly Bangalore) and plans to have 125 employees by year end. For comparison, the company has about 350 employees in their Atlanta headquarters. To our knowledge Kabbage is the first US-based lender to enter the Indian market. As of the end of the last financial year, we have a register user base of more than 107 Mn users and a network of over 3 Mn merchants. We are aiming at 400% growth this fiscal. We are aiming at 400% growth this fiscal. We are adding over 3 Mn new users every month, one of the highest in the industry. We will have close to 200 million users by the end of 2019. A) Lending is growing by leaps and bounds ever since we started out. The opportunity is huge with less than 10% of Indians having access to credit. A group of 11 Indian banks have teamed together to unveil the nation’s first blockchain-linked funding for SMEs. According to the Economic Times, the participants include ICICI, Axis, HDFC, Kotak Mahindra, Yes Bank, Standard Chartered, RBL, South Indian Bank, IndusInd Bank, State Bank of India and Bank of Baroda. “Borrowers on our platform are given a score out of 100, which determines their risk profile. A score of 52 to 60 points is high risk while a borrower with more than 60 points will get a lower interest rate,” says Bhavin Patel, Founder & CEO, LenDenClub. P2P lending or peer-to-peer lending is a mode of direct debt financing that enables individuals to borrow and lend money on mutual terms. Platforms like IndiaMoneyMart (IMM) eliminate the traditional financial institutions and enable businesses to flourish through a people to people contact. “While a great boost to the P2P industry would be via the regulator easing lending caps, we look forward to a critical role from the finance ministry for better financial inclusion by extending SOPs to retail investors,” says Dhiren Makhija, CEO, Cashkumar. According to i2ifunding.com, a category A borrower may face the least risk while a category F borrower faces the highest risk. CreditVidya, an Indian alternative credit score firm, has raised $3 million in a funding round led by Bharat Innovation Fund. Ryan Khoury, Navroz D. Udwadia and Rick Gerson (founding members of Falcon Edge Capital) also participated in the round. Nanyang Technological University (NTU) and China’s first digital-only bank have opened a research centre that aims to help customers manage their finances in real-time wherever they are. NTU research scientists and engineers from WeBank will also study how to provide personalised wealth management advice to customers, among other projects, in the five-year partnership.